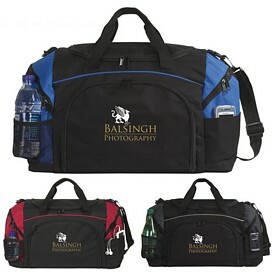 If you want to promote your business by means of something exciting, make use of attractive promotional products that capture the hearts of your customers. 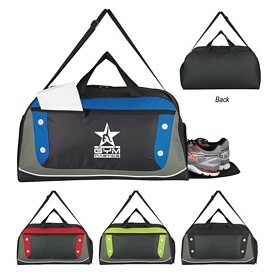 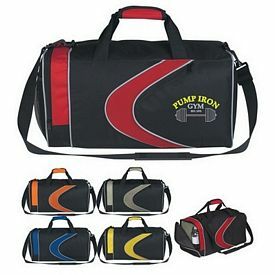 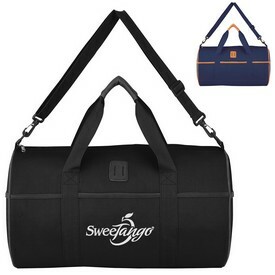 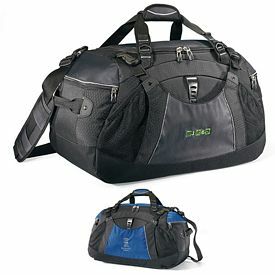 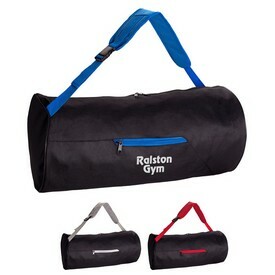 Customized duffel bags are carried around by people when they go traveling or visit the gym. 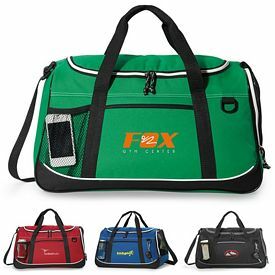 If you get the name and logo of your company printed on these promotional duffel bags then you will make a lot of people sit up and take notice. 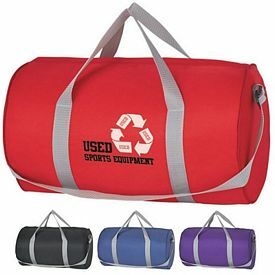 Make sure you provide them with durable products so that it can be used for a long period of time. 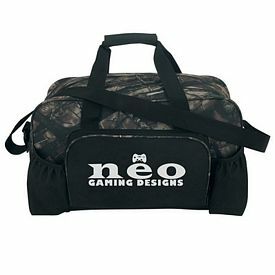 We understand the importance of advertising with zeal and make sure that our designs and promotional products appeal to you as well as the final set of customers. 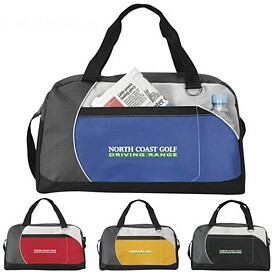 We have a wide range of travel accessories that can be branded with your company name. 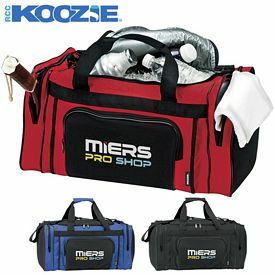 The best part about ordering promotional products from us is that we don’t charge any setup fees and provide you with additional discounts and rush hour offers. 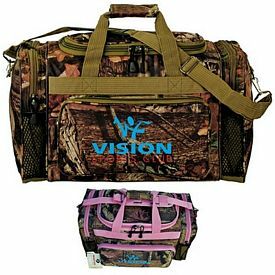 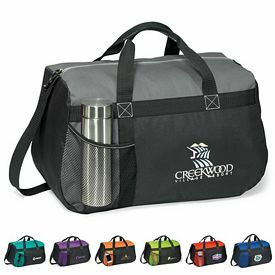 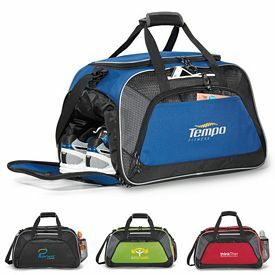 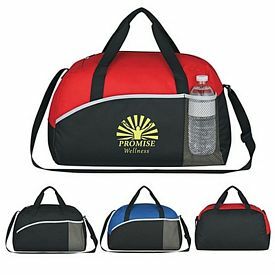 Choose from an assortment of colors and designs and pick up a set of wholesale promotional duffel bags that will match up with the theme and nature of your company. 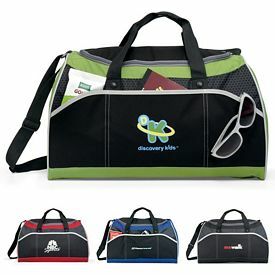 Custom travel bags will always be a highly demanded commodity in the market and your customers are bound to use these. 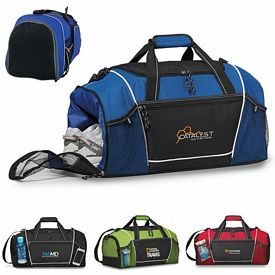 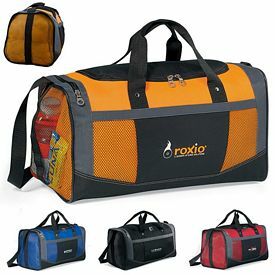 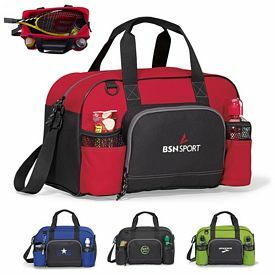 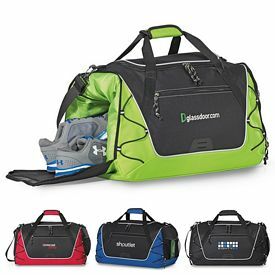 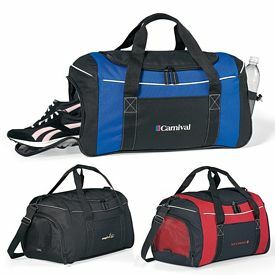 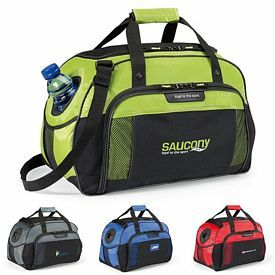 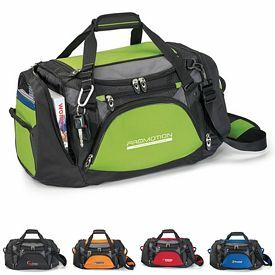 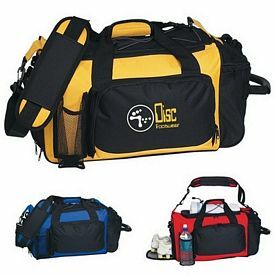 Promotional duffel bags like the Stowaway Duffel are colorful. 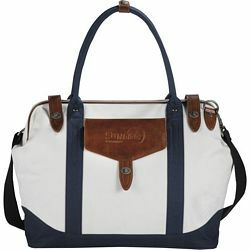 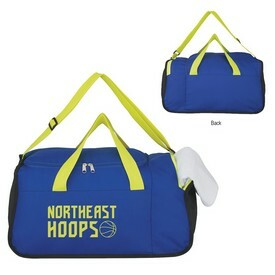 Similarly, the custom Mia Sport Duffel bags look feminine and trendy, and come in bright colors. 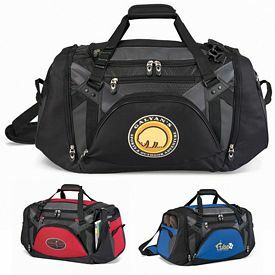 The logoed Fun Style Budget Duffel Bags are eye-catching and moderately priced. 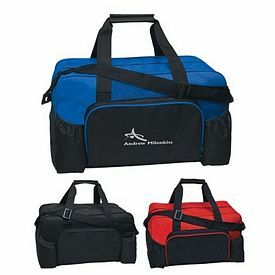 The customized Atchison duffel bags are very popular and have a variety of colors and designs within this brand. 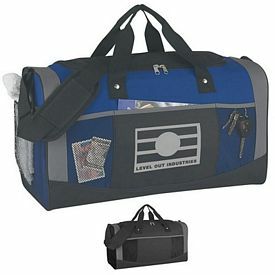 These are few of the lower budget custom duffel bags offered to you. 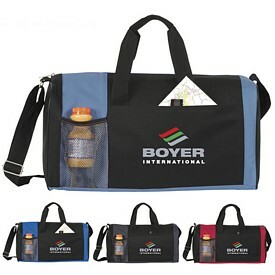 Imagine your promotional products traveling far and wide along with your customers and coming under the eye of hundreds of people. 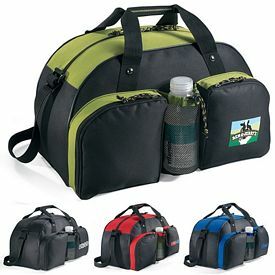 Purchase appealing products that can be considered as the perfect choice for traveling. 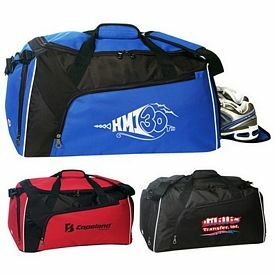 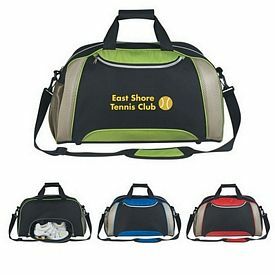 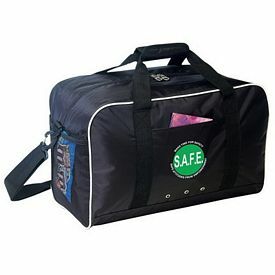 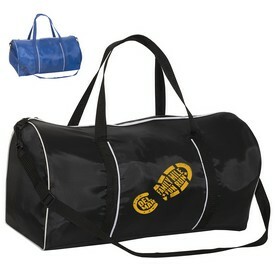 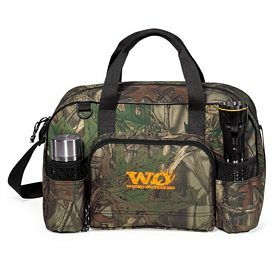 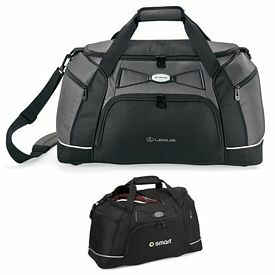 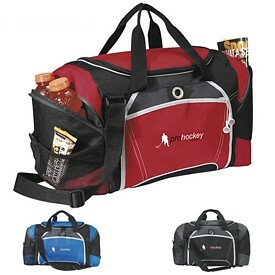 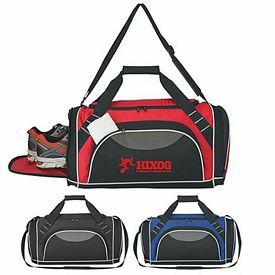 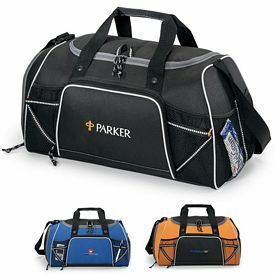 For example, we have customized duffel bags that come with attached rollers and handles. 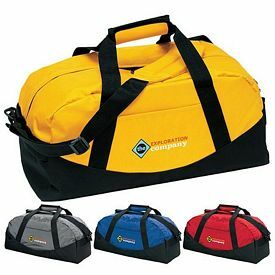 The promotional Travelpro bags are wheeled travel bags that can be conveniently carried over long distances. 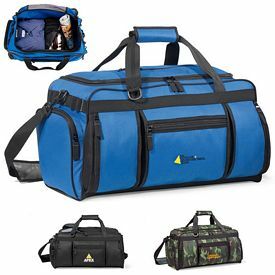 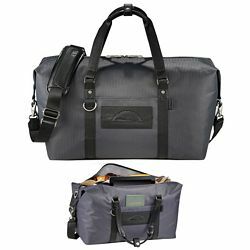 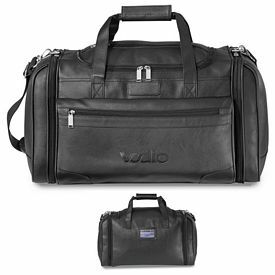 These are few of the most expensive duffel bags in this particular category and you have to consider the amount of money you are willing to spend on promotion. 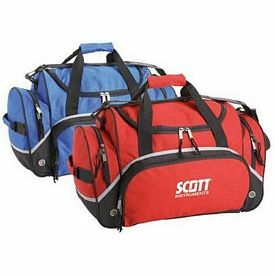 However, the chances of better results are maximized when you distribute products that have a chance of appearing to the maximum number of people.